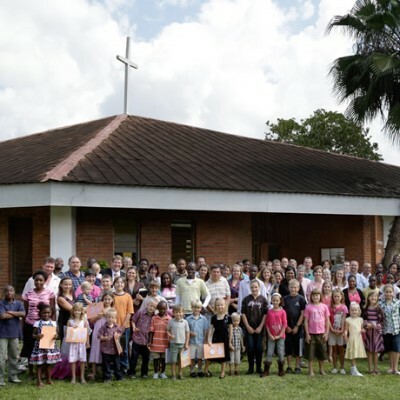 The goal of International Bible Fellowship Church is to be an international community of believers in Lilongwe, Malawi that exalts God, edifies the saints, and evangelizes the lost. Matt Kopp serves as the Teaching Pastor at IBF Church and the elder team also includes GMI Missionary, Jim Ayres. IBF Church is currently in the early stages of building a new facility to serve as a home-base for ministry. The church property will also be home for CAPA (which currently rents space from a different college on the other side of town). The building is located in a strategic area that will advance the ministries of both the church and CAPA. CAPA is a part of The Master's Academy International and exists to exalt Christ and strengthen His church in Africa by training pastors in preaching and ministry. It is a ministry of IBF Church under the direction and leadership of the elders.